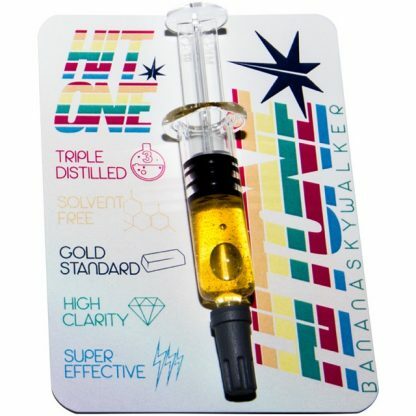 If you are the type who likes the low-key high while on the go, HiT One hybrid cannabis oil is what you should get. A lot of brands selling THC oil products are on the market but Hi Tone’s products have a trademark which represents quality, safety and affordability—for every oil syringe sold to the public. This product goes through a fractionally distilled process which allows the extracts to consistently reach above 90%. Hybrid oil dabbers from Hi Tone are as pure-as-can-be. Because Hi Tone uses concentrated oil from hybrid marijuana strains, users can expect the effect to be both physically relaxing and cerebrally uplifting. It keeps you mentally active and physically coordinated while medicating yourself with a broad spectrum of therapeutic properties. Unlike the indica or the sativa options which have their exclusive properties and effects, Hi Tone hybrid oil products combine both strains to give you a balanced hybrid effect. It is ideal for daytime, or in the evening in a social gathering with close friends. Why is Hi Tone’s Cannabis Clear Distilled Oil the Best? This Hybrid Marijuana Oil product is fractionally distilled. Fractional distillation is a highly technical refinement process that takes away all impurities and extraneous plant materials to achieve super concentrated high purity medical-grade THC. Also, Hi Tone Hybrid Marijuana Oil Cartridges are compatible with most e-pens sold on the market. Hi Tone hybrid oil dabbers offer the best refill options for a wide array of cartridges.